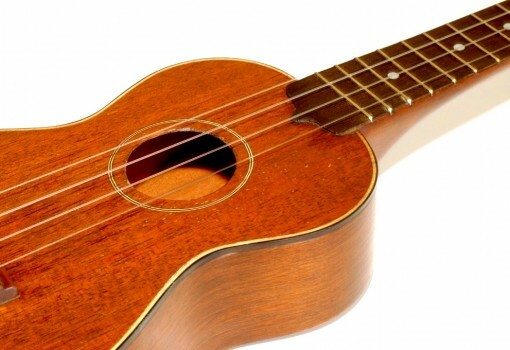 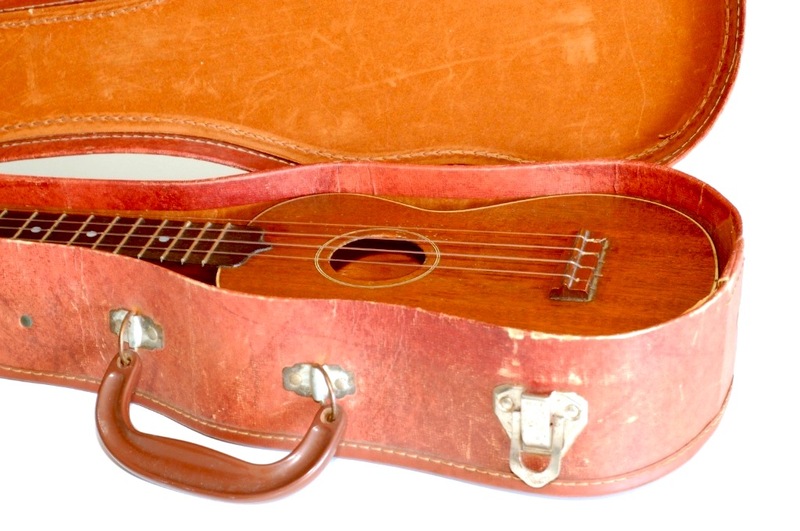 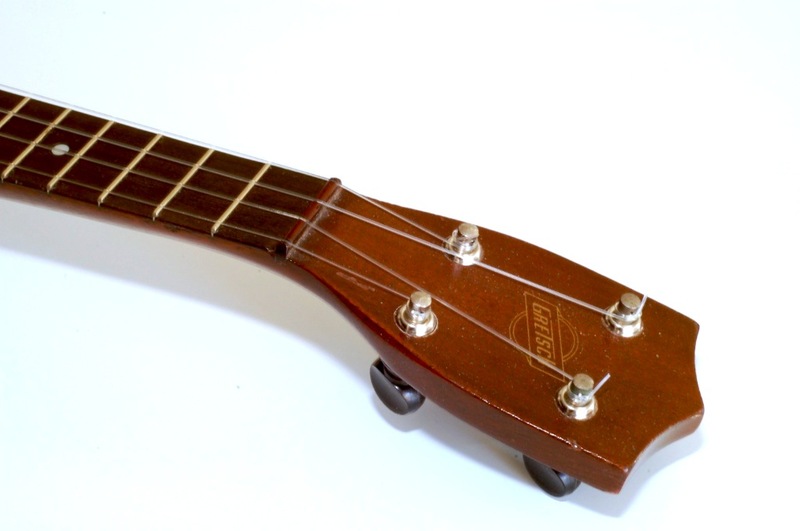 This vintage ukulele was made in Brooklyn, New York, by a firm founded in 1883 by Friedrich Gretsch. Gretsch ukes are often wrongly ignored by those uke-lovers who remain fiercely loyal to their particular brand of choice, however Gretsch ukuleles certainly deserve your respect and attention. 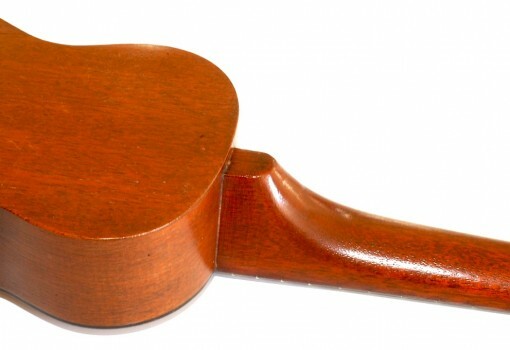 Gretsch may be better known for their guitars, but their ukuleles have aged well and vintage Gretschs, such as this one, have a very good reputation and clearly rival the likes of the well-known Martin and Gibson brands. This particular example of a vintage Gretsch is constructed from solid mahogany and was made in the 1950s. 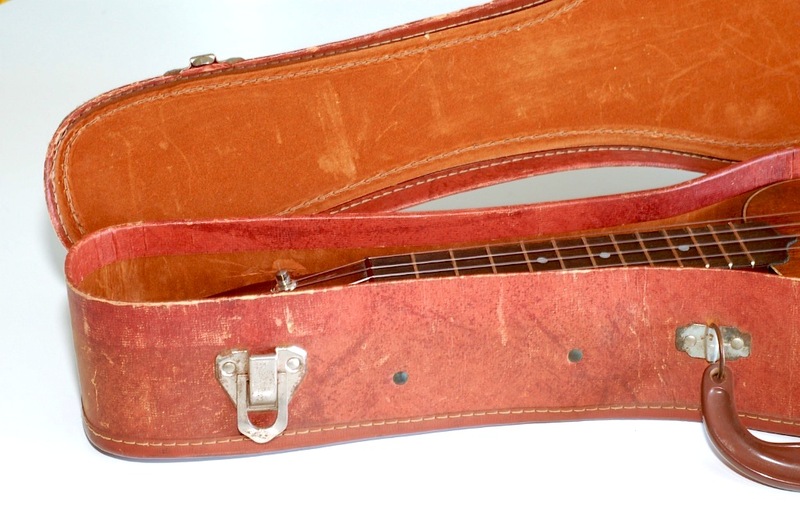 With an ebony fretboard, black binding on top and white purfling, it is a rare find. 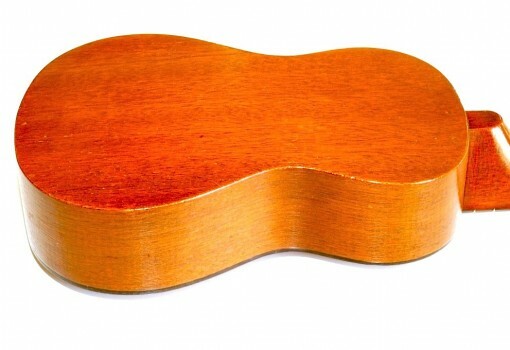 Gretsch ukuleles were made with very thin wood, which is what creates their great sound. 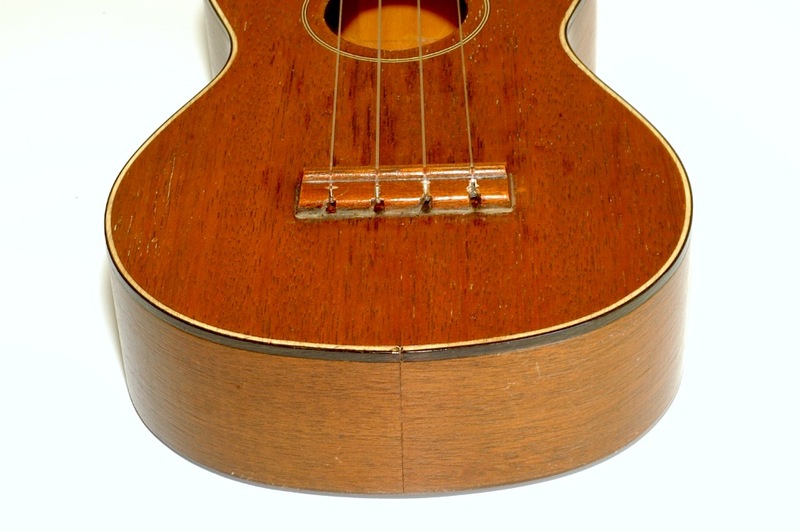 Often this meant that over time the instruments tended to crack, but not with this superb model – it has no cracks or repairs. There are a few small knocks and scratches which are barely noticeable and the tuners have remained in excellent condition and hold their tune well. 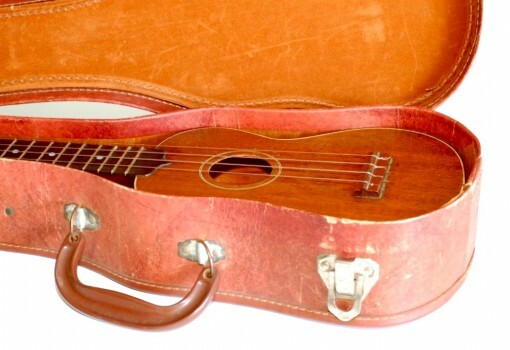 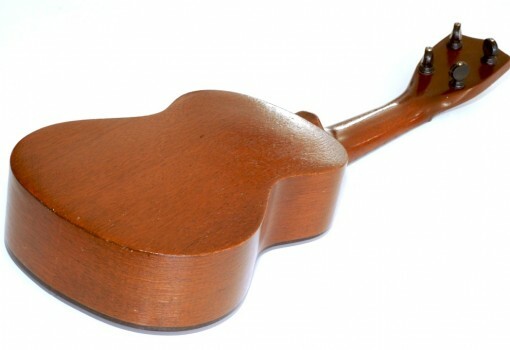 Included with this ukulele is a case that is not original to the uke but is close to the period.